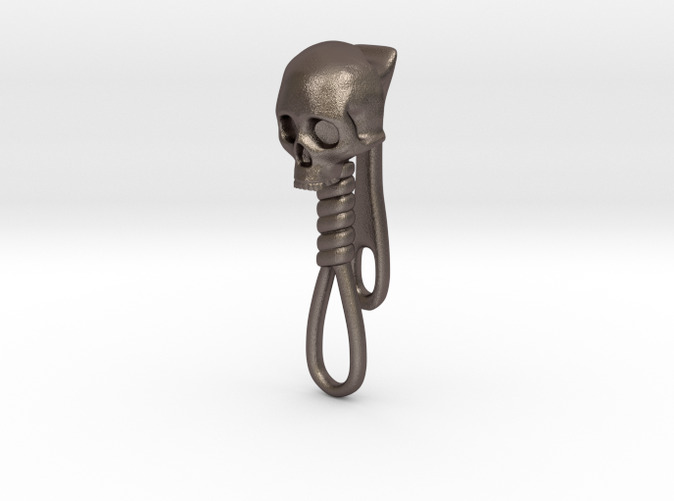 A stainless steel skull and noose keychain that clips to your coin pocket to keep your keys ready. 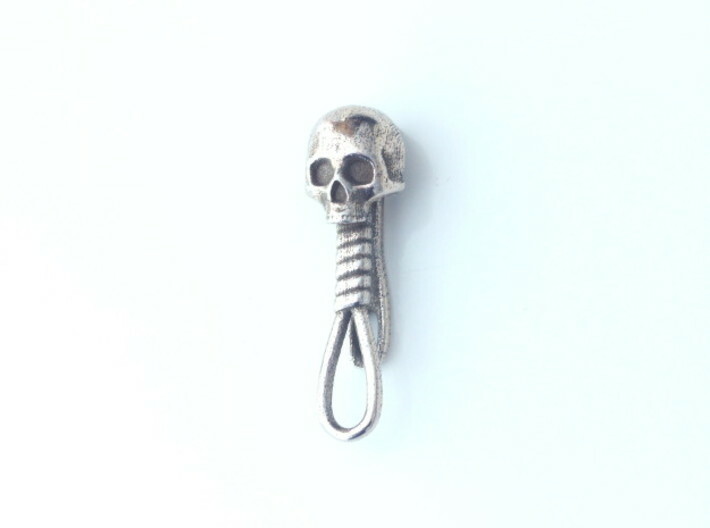 An attention-grabbing detail for your every day carry. 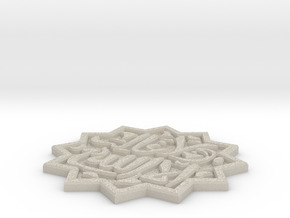 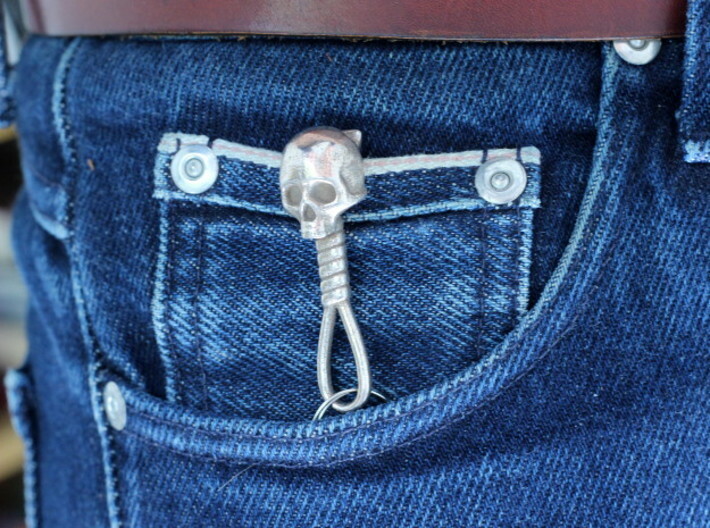 The skull shape makes keys easy to grab even out of tight pants pockets. 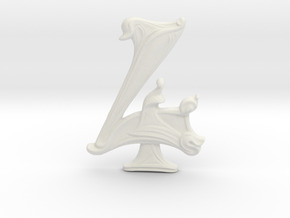 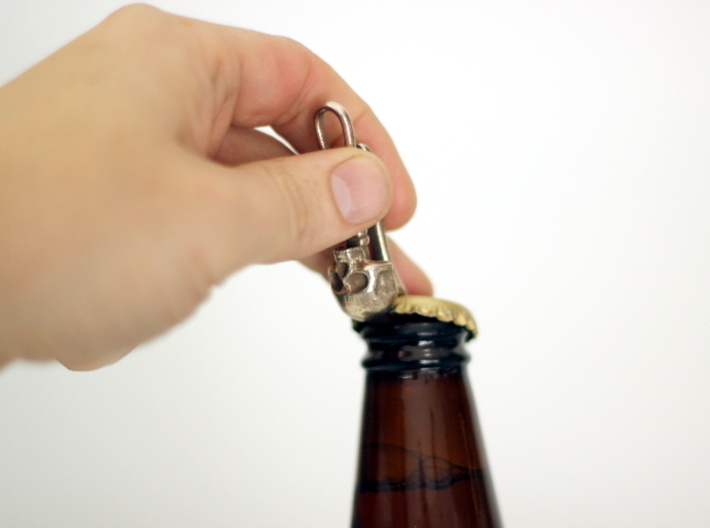 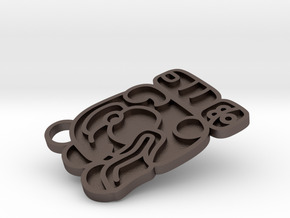 The back edge is designed to work as a bottle opener in a pinch. 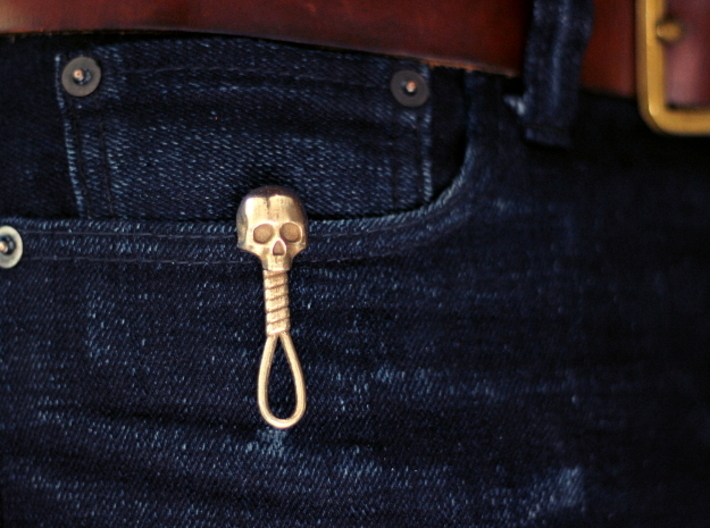 On low rise jeans some wear it with the noose showing over the main pocket to prevent belt wear and emphasize the the skull and noose motif.